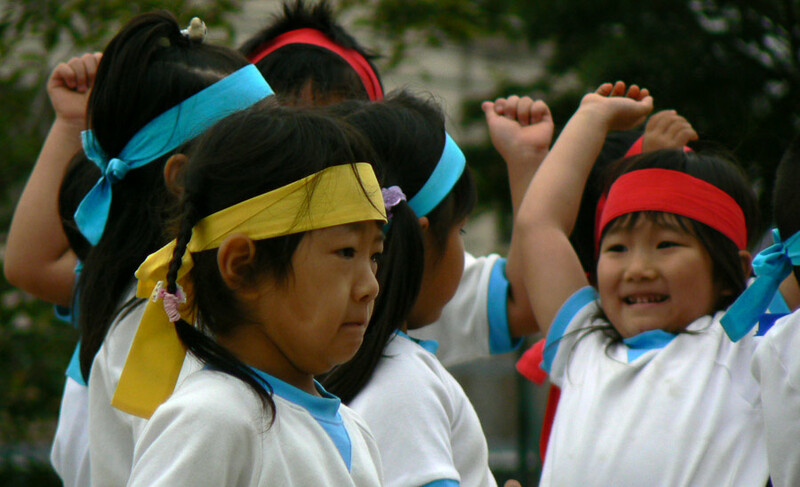 My four year old son recently had his preschool “sports day” here in Japan. That means the parents get to sit in the hot sun all day as the kids play Taiko drums, make a human pyramid and wear cool headbands in a relay race. Usually in a race like this you put your fastest runners last. However, one of teams put their slowest kid on the last leg. Starting with a good half lap lead she got passed by BOTH the other teams RIGHT before the finish line. I really felt sorry for her as I saw it slowly dawn on her face while the red team was celebrating victory behind her. Anyway, I took an extraordinary pic of it so check it out! This entry was posted in Japan, Life on November 6, 2007 by Seth. Hey Seth, just wanted to say hi and that I’m a huge fan of LORD. Man.. memories. Glad to see that you’re still making games! Hey! I was there and i saw that race and that pitiful scene happen! What a great shot! Just as i remember it! this is Rob Bakker from Albany, your Mom share about the trip and glad you are all doing well over there. Are you keeping in touch with my sons? Anyway I like your WEB page.